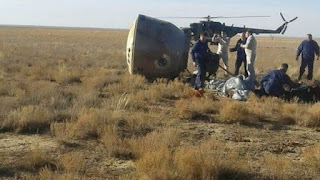 US space agency Nasa says it will continue using Russian Soyuz rockets for missions after Thursday's dramatic emergency landing following a booster failure shortly after lift-off. Speaking in Moscow, Nasa head Jim Bridenstine said he expected a December mission to the International Space Station (ISS) to go ahead as planned. The two crew members who aborted were ready to fly again, he said. Russian officials are investigating what caused the booster to fail. 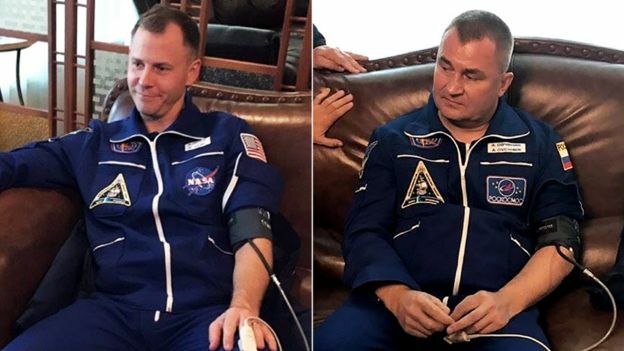 Russian cosmonaut Alexey Ovchinin and American astronaut Nick Hague were heading for a six-month mission on the ISS when their flight was aborted. Their capsule separated and landed 400km (250 miles) from the launch site. Russia's Deputy Prime Minister Yuri Borisov had said no further manned missions would take place "until we believe that the entire situation guarantees safety".